Even if it's your first time visiting New York City, some sites will probably look familiar to you since many of them have been made famous as popular movie and TV filming locations. 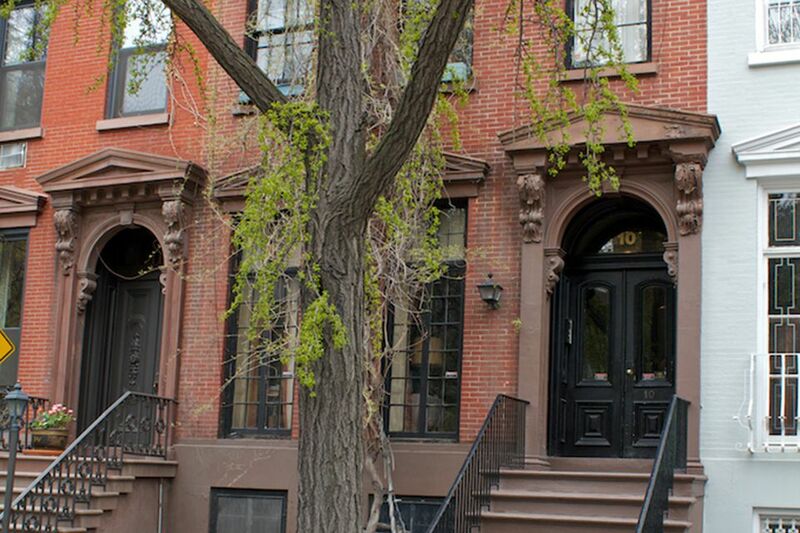 While The Cosby Show was set in Brooklyn Heights and filmed live in film studios, the actual building used for the exterior shots of the Huxtable home is located at 10 Leroy Street in Greenwich Village. The live show was first shot at NBC's Studio One in Brooklyn and later moved to Kaufman Astoria Studios in Queens. The fictional address for the family was 10 Stigwood Avenue. The Leroy Street brownstone was one of 15 identical buildings built in the 19th century using a combination of Renaissance and Greek Revival styles. Leroy Street, famous home to The Huxtable House is often used for filming because the other side of the street has no buildings to obstruct light. It's been used in Autumn in New York, Law & Order, The Job, and Wait Until Dark. Exterior shots of the apartment building featured in Friends were taken of this building which is located on the corner of Grove and Bedford Streets in Greenwich Village. This was supposed to be the building where Monica, Rachel, Joey, and Chandler lived. The show itself was never filmed on location in New York City -- it was always filmed before a live, studio audience in Los Angeles, California. This is a picture of the exterior used for the apartment building in Friends where Ugly Naked Guy and Ross live. It's right across the street from the building used for Monica, Rachel, Joey, and Chandler's apartment. This is the firehouse used in Ghostbusters. It is the 2nd oldest firehouse in New York City and is home to Hook and Ladder Company #8. Built in 1903, the building was the first Beaux-Arts style firehouse in NYC. When originally built, the firehouse was twice the size it is today -- it had to be reduced in size when Varick Street was widened in 1913. The interiors for the firehouse scenes were shot in Los Angeles, California. There is even a Lego set for this famous building! This firehouse was also featured in the 2005 movie Hitch and in a Seinfeld episode.